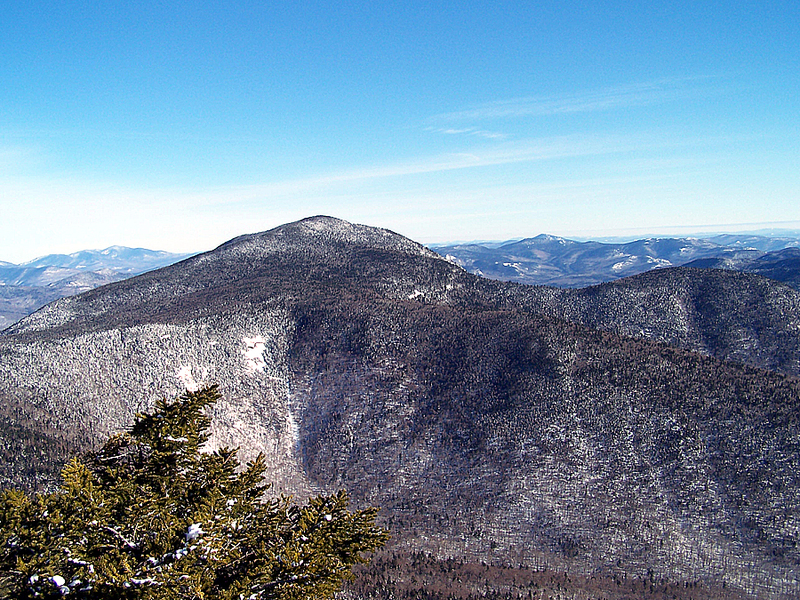 Mount Passaconaway located in the Sandwich Wilderness is a wooded summit with absolutely no views. The summit can be reached via the Dicey's Mill Trail from the Ferncroft trailhead in Wonalancet or from the Kancamagus Highway (NH 112) via Olivarian Brook, Passaconaway Cuttoff, among others. -Dicey's Mill Trail: 4.6 miles, elevation gain of 2,950 feet. The Dicey's Mill Trail climbs up to the summit of Mount Passaconaway with easy to moderate grades and good footing. The trail has no views but I did not find it completely boring which usually I do when hiking on a trail that's entirely in the woods and is a great hike for beginners! There is an outlook just below the summit with great far off views over to the Pemigewasset Wilderness.